I'm a huge Lee Stafford fan and have been for years - so when there are new products released into the collection I am always itching to give them a go! This is one of the newest shampoo and conditioners from LS and it is the Oily Roots, Dry Ends duo. Now the name says it all and I bet there's a huge, huge group of you out there that this sounds familiar too. Oily, greasy roots and dry, limp ends? I was so excited to try these out! Lee Stafford products I haven't yet tried - it's a miracle! First up the shampoo. On the packaging the first thing I noticed was that it tells you to shampoo your hair twice, so of course being a total sensible Sally I followed the instructions down to a T and did exactly that! Lee says that the first wash helps get rid of stubborn build up caused by products and pollution and round two is too get it super squeaky clean! The other thing I noticed was the 'Miracle Tree' ingredient - Moringa Seed Extract. This is a multi-tasking ingredient which fights oils and helps hair stay squeaky clean. This shampoo seems to do exactly what it says it does - breathes life back into lank, lifeless, oily hair whilst also helping to detoxify it! Now the Oily Roots, Dry Ends conditioner. Everytime I see the words 'shea butter' my eyes light up - I bloomin' love that stuff! Obviously this is JUST for the mid-lengths to ends - we want moisture in those ends not the top half and roots! My hair has felt so so soft and smooth (even when using heat on it) and SO much thicker! I don't know weather these are meant to have that effect but I popped my hair up in a pony tail after using it of the first time and it had literally doubled in size.... thankfully not in a frizzy way! So... cleaner hair for longer, softer ends, thicker hair and I haven't even mentioned that amazing familiar Lee Stafford scent yet! These are £8.99 each for 250ml bottles - which you may think is a little expensive but there doesn't seem to be any other products out like this, especially in drugstores! Boots are always having deals on Lee Stafford products aswell, weather it be 3 for 2 or 3 for £12, it's a rare occasion that you have the whole full price for a few products! Have any of you tried these out yet? I'm really impressed! Think I might have to have a look at these, they sound amazing! I really have to give them a go, I like how they sound, they might be the answer to years and years of hair problems. 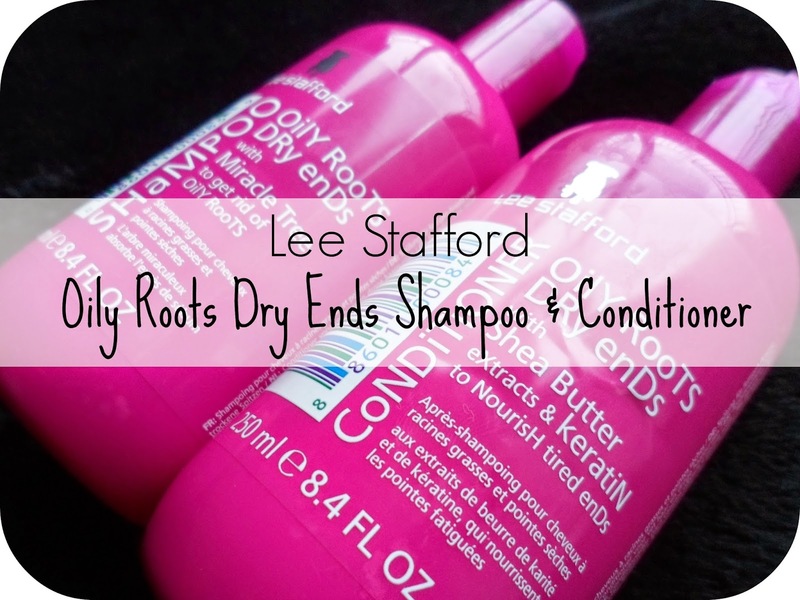 i have oily and dandruff hair.how can Using both of these together has reminded me of how much I've missed using Lee Stafford products in the shower!